Truly, I have never seen so much food at a single meal. Not on my mother-in-law’s Thanksgiving table. Not even at my Aunt Maureen’s annual Easter smorgasbord. The feast was epic. 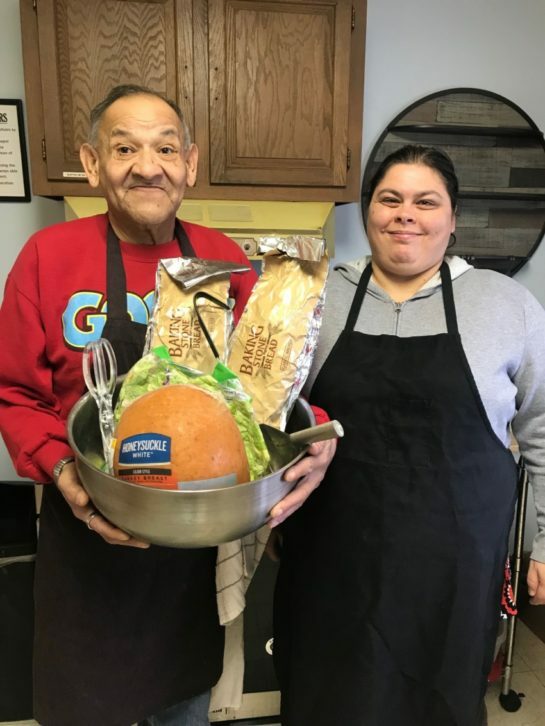 A few weeks ago our friend Azzat mentioned that he and Afia wanted to host “a feast,” as the Yezidis say, as a way to thank all the people who had pitched in to set up their apartment before they arrived in Lincoln as refugees nearly two years ago. “Invite everyone,” Azzat declared. He and Afia also insisted that no one bring a thing – not a bottle of wine or a liter of soda, not a bag of chips or a plate of brownies. “We want to do everything,” he said. Sixteen of us squeezed into our friends’ townhouse living room on Sunday afternoon. We sat on the floor, our legs pulled in close so as to keep our socked feet clear of the plastic tablecloth that had been spread out on the carpet. 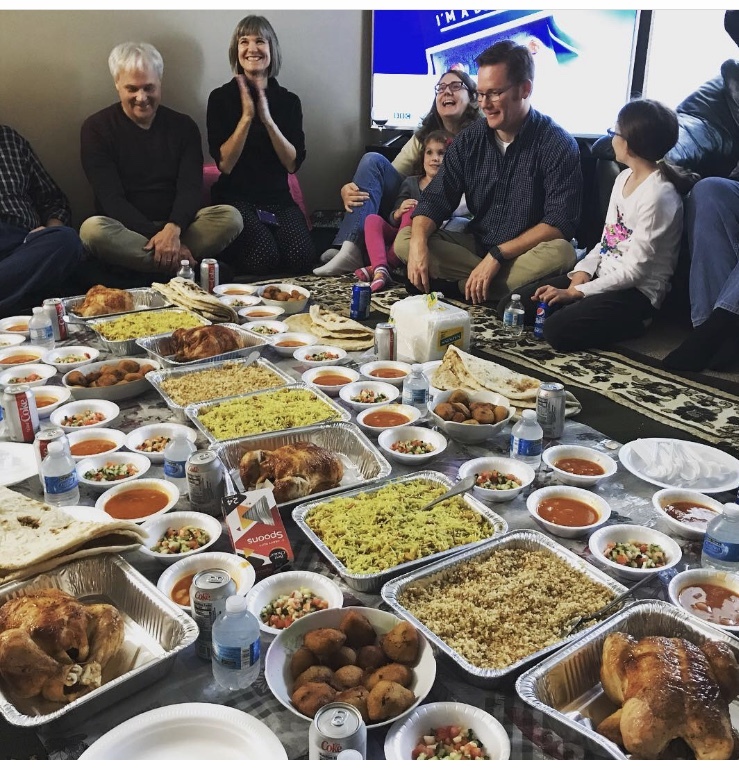 Dish after dish was placed on the tablecloth: five roasted chickens, several huge tin foil pans of biryani and couscousi, 16 bowls of soup, 16 bowls of salad and a stack of naan so thick it could have doubled as an extra chair in a pinch. We passed dishes back and forth, heaping spoonfuls of savory food high on one another’s plates, tearing pieces of soft naan, handing bowls around and across the makeshift table. I swear we ate for an hour and a half straight, and all the while, as friends new and old laughed and passed more plates, I couldn’t stop smiling. The photo my friend Kristen snapped with her iPhone captures my glee. In the picture, I’m grinning ear to ear like a fool, literally clapping my hands in sheer delight. Our friends’ journey to Lincoln has been far from perfect. They wouldn’t have chosen it if they’d had any choice at all — that I know for sure. They left their beloved homeland, their culture, virtually all their possessions and most of their dearest friends and family to begin a new life free from the threat of ISIS, yet missing so many precious pieces of home. They have lived, and still live, daily heartbreak. They have lived, and still live, daily struggle. And yet, in spite of incomprehensible hardship and loss, time and time again they give wholly of themselves and their resources to us. They don’t even think twice. They invite us and these friends of ours, strangers to them, into their own living room, they spread a table for us and lay out a feast and they lavish all of us with hospitality, generosity, warmth and love. They pour us the best wine, they cook for five hours to create all their best dishes (intentionally making extra so they can send every single one of their guests home with a plate of leftovers), they serve us, smiling and brushing off our praise like it’s all so no big deal. But it is a big deal. As author Shannan Martin would say, this hospitality, this intentional walk toward, rather than away from another, is a very big deal. “Offering ourselves as a kind-hearted presence in a world that has forgotten the meaning of community is a courageous act of peace,” writes Shannan in her beautiful book, The Ministry of Ordinary Places. I love that, and I think that’s exactly why this beautiful family continues to astonish me. The ones considered outsiders and “other” by so many, the ones who arrived here from halfway around the world, the ones who have little compared to most of us, continuously offer their whole selves to us, welcoming us, embracing us and reminding us of what true community looks like. Their kind-hearted presence in our lives and their generosity and investment in us is truly a courageous act of peace….and of love. 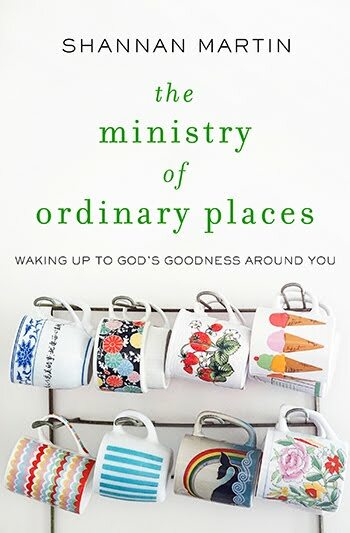 I can’t think of a better book to give away with this post about community than Shannan Martin’s new release, The Ministry of Ordinary Places. 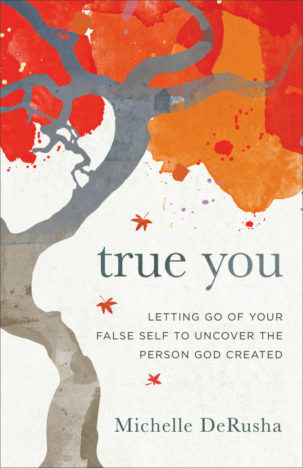 If you don’t know Shannan, get thee to her website, pronto. She is of of my favorite writers, hands-down. 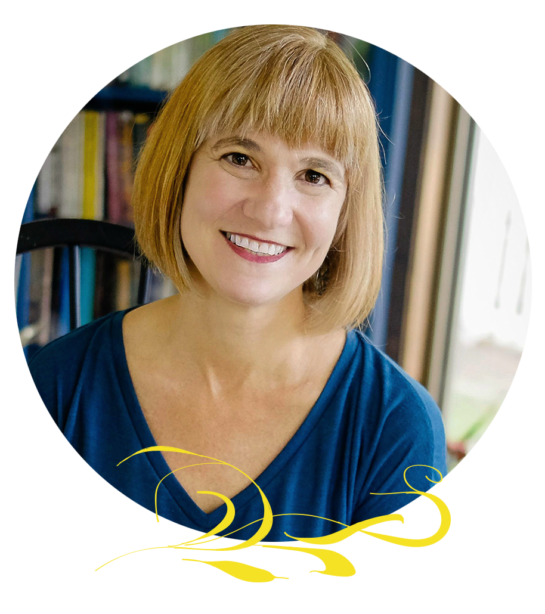 I loved her first book, Falling Free, so much, I wrote about it in my own upcoming book. And I think The Ministry of Ordinary Places is even better! This book will make you laugh out loud and it will bring tears to your eyes, almost within the same paragraph. AND it will convict you in all the best ways about the power, beauty and gift of living with our ordinary neighbors in our ordinary places. To be eligible for the drawing, please leave a comment telling us about one small thing a neighbor or friend did for you that made all the difference. I will draw one name at random on Monday, October 15 and will notify the winner by email. Not long ago, I took it upon myself to edit the words of the Lord’s Prayer. That’s right: I rewrote the prayer written by Jesus himself. It wasn’t a complete rewrite, mind you; I simply tweaked the pronouns. I decided the prayer would work better for me with singular rather than plural pronouns. For example, “Our father, who art in heaven,” became “My father, who art in heaven.” Likewise, “Forgive us our trespasses, as we forgive those who trespass against us,” became “Forgive me my trespasses, as I forgive those who trespass against me,” and so on. After all, I reasoned, the whole purpose of faith and religion is to encourage a personal relationship with God and, ultimately, personal salvation, right? What, then, was the point of praying in a plural voice? The “us” aspect of the prayer seemed to complicate the matter. The funny thing was, I couldn’t do it. Every time I tried to pray my new individualized version of the Lord’s Prayer, I tripped over the words. Suddenly, the lines I’ve known by heart for decades refused to flow. My mind went blank, and I forgot whole sentences of the prayer I’d been praying since the second grade. Without the familiar plural pronouns in their rightful places, the prayer didn’t work. The reason for this, of course, is the fact that, in the same way any habit is formed, the repetition of the same 70 words traveling the same neural pathway day in and day out over decades of recitation had firmly etched the Lord’s Prayer into my brain. Old habits die hard. That said, though, the failed experiment gave me the unexpected opportunity to consider the question of why Jesus taught his disciples to prayer the Lord’s Prayer in the plural in the first place. Turns out, the plural pronouns weren’t a mistake or even a fluke. 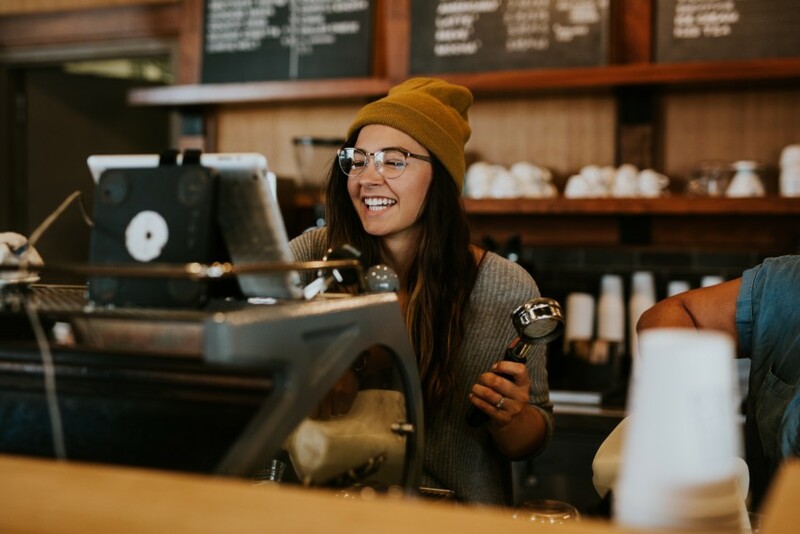 Jesus taught his disciples, and us, to pray the Lord’s Prayer in the plural voice because our lives here on Earth aren’t about you and me individually, but rather, about you and me – us – here together. Jesus knew that community is an integral component of faith. He knew that we need one another and that, ultimately, we are better together. When I pray the Lord’s Prayer, both alone and with others in communal worship, I am reminded that my relationship with God extends beyond myself. I am reminded that all of us together are Christ’s body. My daily bread is given, and I give daily bread to another. I am forgiven, and I forgive another. Truth be told, I like my version of the Lord’s Prayer better, because on most days, I’d rather it be all about me. Living in community isn’t always easy. Our co-workers vote for the candidate we don’t like. Our neighbors think Creeping Charlie is a fine substitute for grass. Our family members leave their dirty socks on the living room floor (I’m speaking hypothetically, of course). Our friends hurt us, our loved ones betray us. I don’t necessarily want to share my bread. I don’t necessarily want to forgive. I don’t necessarily want to see “the other side” of an argument. Which is exactly why I need Jesus’ version rather than my own version of the Lord’s Prayer. I need to be reminded again and again as I pray the familiar words that it’s not just about me. It’s about us. This post originally ran in the Lincoln Journal Star on July 14, 2018. 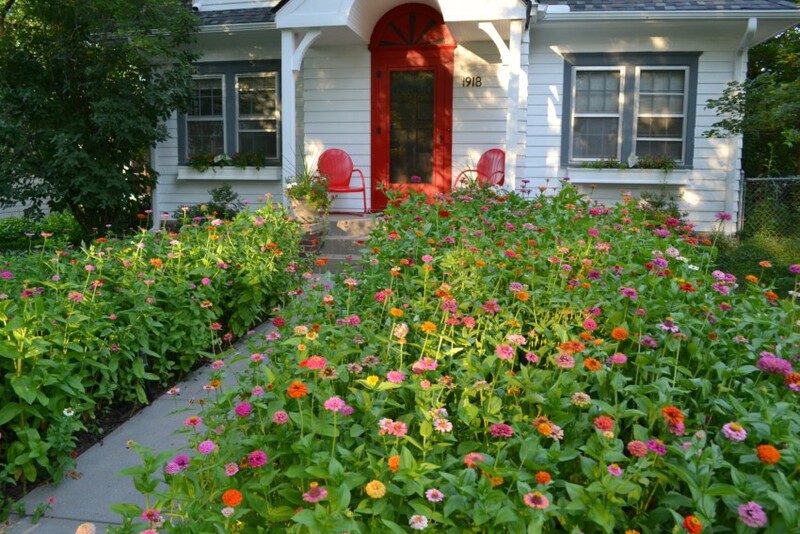 If this post resonated with you, consider signing up to receive my weekly blog posts in your in-box (or, if you’d prefer, my monthly newsletter, The Back Patio — a casual chat about books, podcasts, and fun, everday life kinds of things). 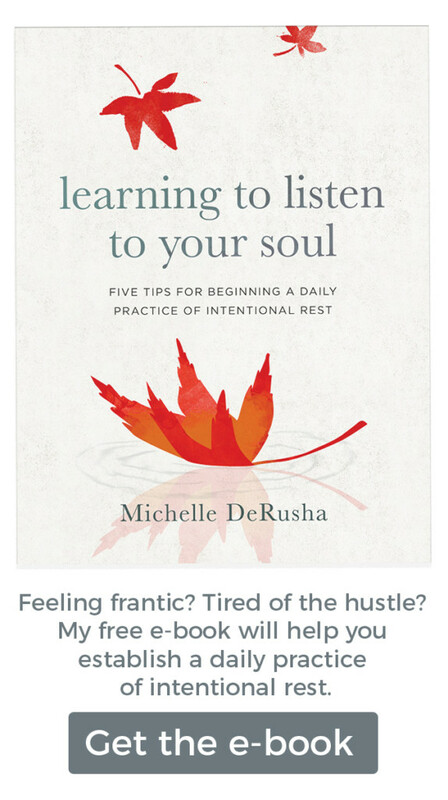 You can sign up over HERE, and as a free gift for subscribing, I’ll also send you my free e-book, Learning to Listen to Your Soul: 5 Tips for Beginning a Daily Practice of Intentional Rest. Last November my closest friend here in Lincoln moved to Connecticut. Even now, nearly three months later, the impact of Deidra’s move still reverberates. I feel a quiet pang when I spot a car that looks like hers pass by. I notice my stubborn avoidance of the street where she and Harry lived, my reluctance to revisit one of our favorite lunch spots. I miss the favorite sweater kind of easiness and comfort of my in-person friendship with Deidra. When my husband and I wanted to invite someone over for dinner or drinks on the patio, Deidra and Harry were our go-to couple. Our friendship had grown to a place where we didn’t have to work so hard at it. They were like family, without the baggage. Back when our kids were preschoolers, Brad and I hosted dinner parties and gatherings with lots of different friends at our house pretty regularly. Without family nearby, we didn’t have easy babysitting options, so we did the next best thing: we invited friends to hang out with us in our home. We were part of a supper club with two other couples who also had young children. We invited Brad’s colleagues or mine over for summer barbeques and winter potlucks. We belonged to a small group with members of our church, and even when we weren’t meeting weekly as part of a Bible study, we got together with our group for fun. We socialized with other parents of young children – women I had met in a local Mom’s Club and their husbands and kids. As the years passed and our kids got older, Brad and I gradually stopped hosting dinner gatherings. For a long time I didn’t even notice the shift. It happened organically as our kids and our friends’ kids enrolled in different schools and pursued different interests. Some of our core communities and friendships shifted into new spaces. Others gradually faded away altogether. New friendships were forged along the sidelines of the soccer field or on the sidewalk at the periphery of the elementary school as we waited for the dismissal bell. Though we liked these new friends and enjoyed the opportunities we had to connect, most of these relationships didn’t grow beyond the sidelines or the sidewalks. When soccer season ended or school let out for the summer, months passed before I crossed paths with most of these women again. I guess what I am saying is that I miss the friendships and connections that go deeper than small talk on the sidelines. 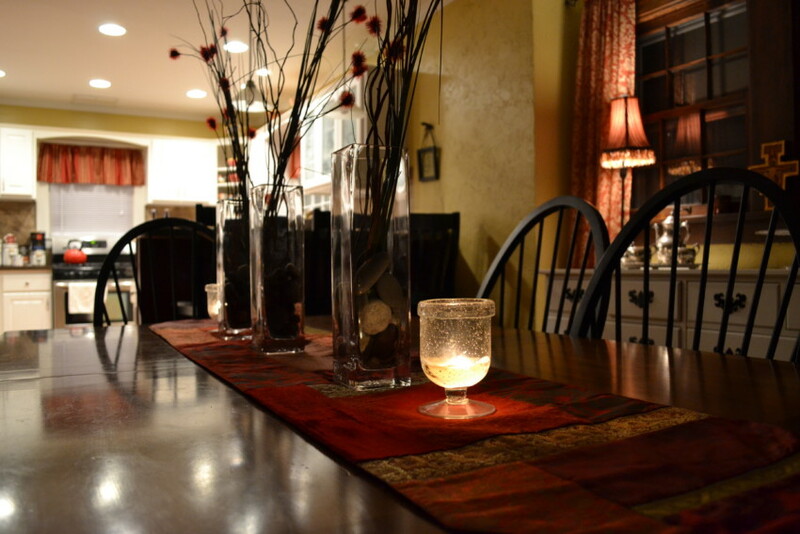 I miss the rich scent of a home-cooked meal wafting into the cold night air when we open the door to greet our guests. 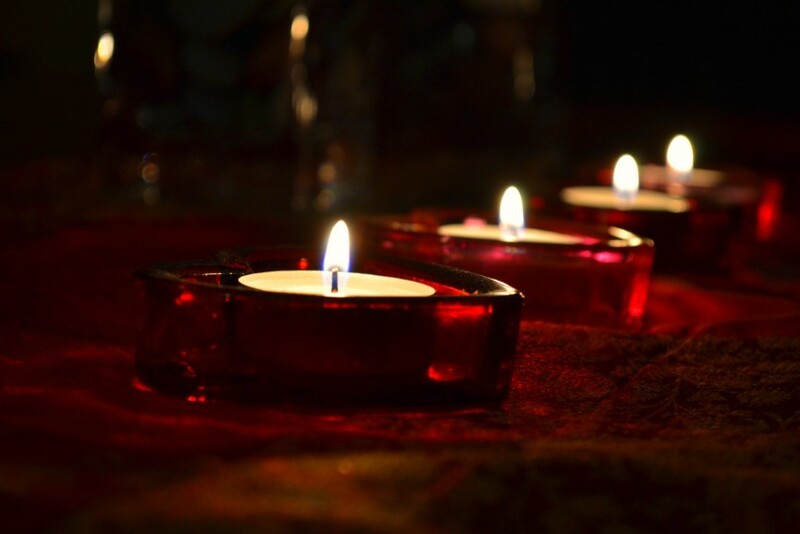 I miss gathering around the table, candles flickering. I miss retiring to the living room after the meal, dessert plates balanced on our knees. I miss rich conversation and laughing until my stomach hurts. On one hand, this is the season of life we are in right now – shuttling older kids to tennis lessons and cross country meets and math tutoring. Attending orchestra concerts, cheering on sidelines, proofreading English essays, dropping a carload of boys off at the movies. Life is full. Life is busy. 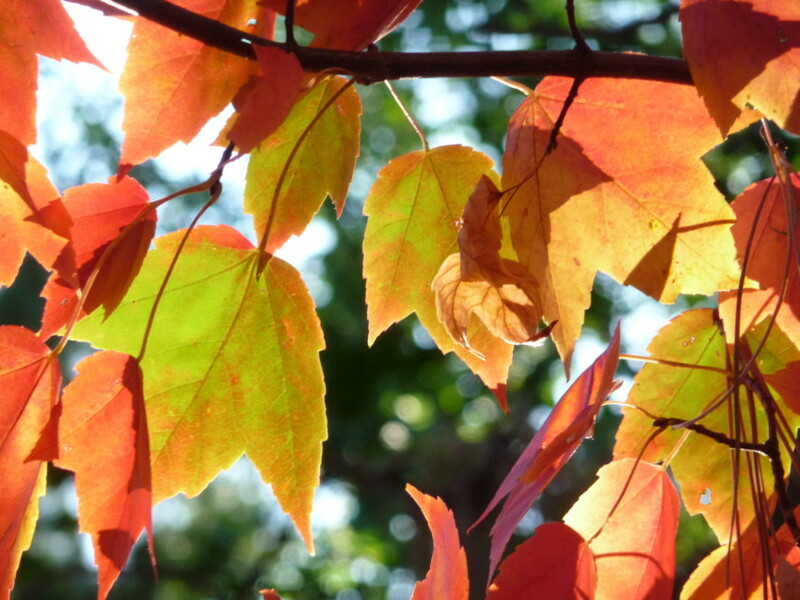 At the same time, though, I think “this season,” “this busyness,” might also be an excuse I’ve allowed myself. In the same way I’ve become complacent about chasing curiosity, I’ve also grown complacent in pursuing rich, meaningful friendships. This kind of relationship-building takes work. True community requires intentionality. Authentic connection that goes beyond sideline small talk requires time, trust, and a willingness of be vulnerable. Inviting someone into your home to sit around your table invites intimacy on a deeper level – even more so, perhaps than meeting in a restaurant or another public space.Sometimes I think I choose sideline small talk because it’s easy, non-threatening, and doesn’t take much work. I am lucky to have had (and still have) true friendship with Deidra. But that relationship and its shift into new territory these last couple of months has taught me something important. Life is full and busy, to be sure. But it’s neither too full nor too busy to pursue deeper, more fulfilling friendships that go beyond sideline small talk. This year, I’m going to get back into the habit of practicing hospitality – of inviting new friends and old into my home and around my table. It’s a small step in the journey toward forming and growing authentic relationships, but it’s an important one – one I’ve neglected for far too long. And as a friend wisely noted, it might turn out that my two themes for the year — curiosity and hospitality — will go quite nicely together, each complementing the other. This post is Part 2 in my two-part Themes for 2018 series. Two weeks ago I wrote about the Year of Curiosity, which you can read here.